Specialiserad på formgivning av webbaserade produkter, illustration samt även frilansande skribent för OK-Förlaget. Arbetet sker genom Kosmopolit Design AB i Tällberg. 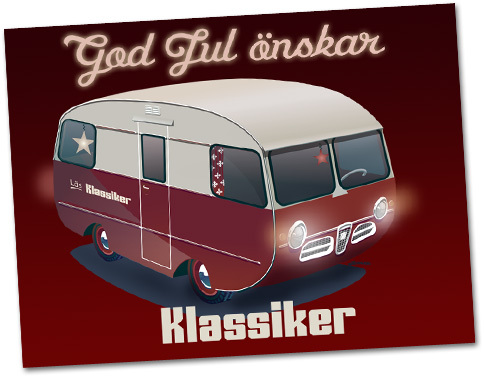 Christmas holiday card for Klassiker Magazine, Swe. I had the good fortune to be contacted yet again by NJFF of Norway. That's the Norwegian national hunters assoc. Mark Willhans jobbar inom Kosmopolit Design AB. -Jag specialicerar inom internetmediet, främst såsom formgivare, men även som Illustratör. Har varit verksam i Borlänge, Falun samt under strax över en fyraårsperiod även i Oslo. Övrigt: Både Mark och Chrestian Willhans har ett gediget intresse för klassiska fordon. De anlitas med framgång av klienter med behov av illustrationer inom trafik, färdsätt och transport samt fordonsnostalgi. 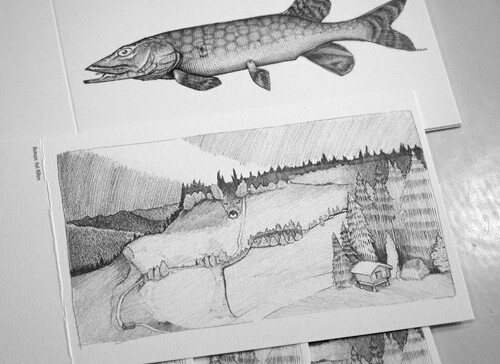 Designer based in Sweden, specializing in webdesign and illustrations. The author of the site has been involved in the following companies: ArtIT, Nest Internetworks / Nesthood, Grape / Clockwork / Mogul Norway, Millimeter Design, Norway. Now back in Sweden and based in the Dalecarlia region, Mark works through Kosmopolit Design AB. A large piece of the assignments are carried out for Norwegian customers. –We're featuring high class illustrations, tailormade websites, database-driven with a backbone in Umbraco, Wordpress or others. Occationally the non database-driven, but always responsive to adapt to every possible platform. The style is northern light in the fashionable scandinavian design style. What else, in the heart of Sweden. Ski Resorts, Furniture producers, Furniture Distributors, News Distributors, Energy distributors, Live coverage of a pool championship!, Investors, Banks, Telecom, Book Publishers, Oil Companies, Knowledge related biz., Arts & Crafts, Classic Vehicle Restorer, an Amusement Park and various others.